We’re barely halfway through the year and I’ve already earned over $2,500 in credit card rewards. Each rewards credit card that we have has earned us between $450 to $875 this year! I've earned this without paying any interest charges and by just spending the normal amount I spend each month. I also plan on doing this many more times this year. In fact, we already have over 10 rewards credit cards between the two of us and we are looking for the next credit card that we want to use. Chase Sapphire Preferred – We each have this one and it has given us over $1,000 cash back. Southwest Cards – When we signed up, we received 2 free roundtrip flights per credit card. Chase Freedom – This is a great credit card that often has 5% cash back and it was one of the very first credit cards we signed up for the sign up bonus. Chase Ink Bold – This one gave me $875 as a sign up bonus and in rewards after just 3 months of normal use. REI – This only had a $100 sign up bonus but you also receive 5% back on all REI purchases and there is no annual fee. Stacking the 5% on top of the 10% we get for being REI members is a great deal! While I love using credit cards to my advantage and earning credit card rewards, I know that many have no idea what this even is or how to take advantage of the current credit card offers that are out there. Occasionally when I break out my credit card to pay for something, someone will mention how I shouldn’t go into credit card debt, so I know there are many out there who don’t know how to use credit cards to their advantage. Even though I love credit cards because of their many benefits, I understand they are not for everyone. My sister struggles with credit cards, and now mainly just uses cash so that she doesn't get into credit card debt. Luckily, this has not led to credit card debt for her but I believe that is because she caught her mistakes early on. However, others are not as lucky. Others rack up large amounts of credit card debt. According to NerdWallet, the average household in the United States (who has debt) has an average credit card debt of $15,611. That is an increase of 2.26% from the amount of average credit card debt in a household in the same period in 2013. We have been loving our cruise vacation so far. 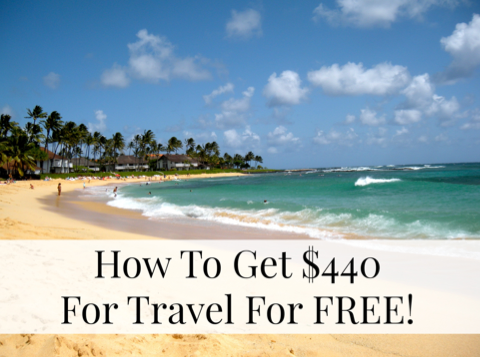 Many have asked us how to get a cruise for free, how to get a cruise for cheap, or how to go on a free Carnival cruise, and we will be talking about that today. P.S. 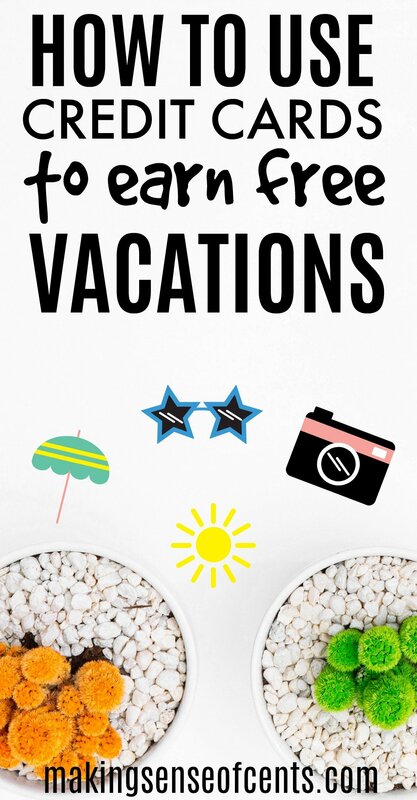 I also have coupon codes for Airbnb and taxi services, so continue reading! You just hop on a ship (ahhh don't call it a boat – people get mad! 🙂 ), relax, eat and drink a lot, it takes you to ports, and it is just overall very relaxing. We have had a lot of fun so far just sitting on our balcony and watching the water. Yes, I know, we are new to cruising but we have already learned so much. I am the type of person who researches a vacation like crazy before going on it, so you can bet that I read cruising forums and articles for many, many days until I felt like I have been cruising several times before. Since I told friends and family that we were going on a cruise, I have had many people ask me about the costs of going on one. There are many different types of cruises out there. There are expensive round-the-world cruises, or there are cheap ones that are a few days long. There are interior rooms and then there are also large suites that are multiple floors. It all depends on you, where you want to go, and what you care about in a stateroom. Outside of the stateroom, all guests pretty much enjoy the same exact services, so the amount of money you spend all depends on what room you want to choose. I have seen one night cruises for $50 per person and two-night cruises for $99. I have also seen 3 and 4-day Caribbean cruises in an interior room go for $129 per person (yes, that includes food and basic drinks! ), not including port fees or taxes. Depending on when you book, you may even be able to book a balcony room for just a few more dollars. 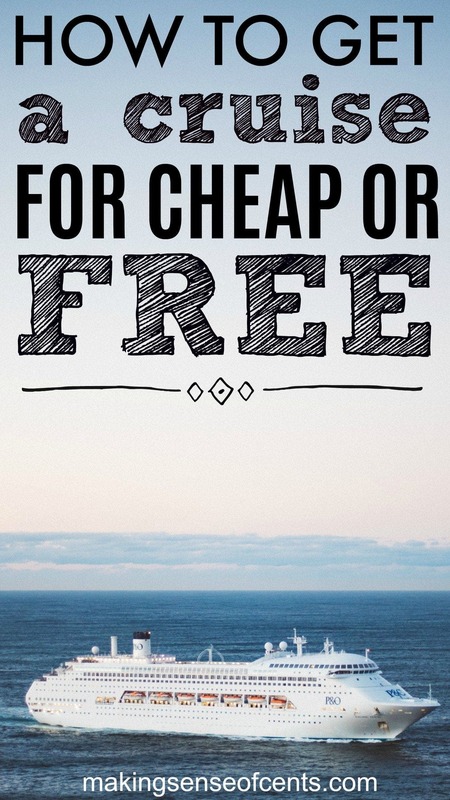 If you do one or a combination of the options below, it could be easy to get your cruise for cheap or even near FREE. Who doesn't like free? Back in March, I published the article Are Rewards/Bonus Credit Cards Right For You? 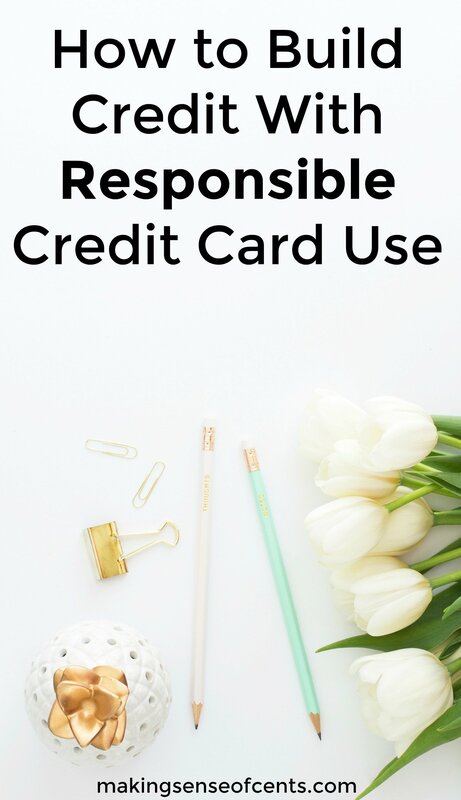 This is a personal finance blog, and I know that many are against credit card use. However, while there are negatives to using credit cards, if you know how to use them to your advantage then there should be no negatives. Using credit cards to your advantage is a huge positive. The last credit card I applied for was the Barclaycard Arrival Plus™ World Elite MasterCard®. 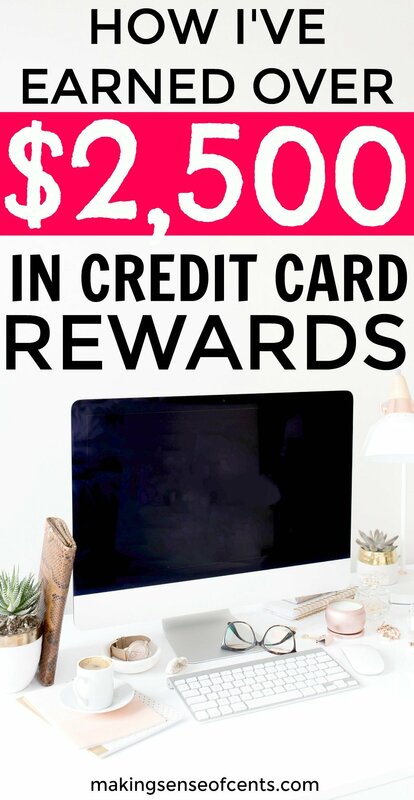 I currently have a few other credit cards (you can read the articles How I Plan on Getting $2,500 in Airfare to Las Vegas for CHEAP and Are Rewards/Bonus Credit Cards Right For You?) as well. I plan on using this new credit card for most of our wedding expenses and also for our normal day-to-day expenses. I'm hoping to earn enough points to pay for our next vacation, or at least a part of it. In today’s economy it’s very common for people to worry about money or simply making ends meet. Many of us lost savings in the fallout from the recession, and are attempting to rebuild our savings accounts along with our credit scores. One of the most common ways to build or rebuild credit is by using a credit card in a responsible manner. Most households receive different credit card offers from a number of providers through direct mail, flyers, email, or even telemarketing phone calls at times. However, for the sake of your own financial security, you should ensure these offers are legitimate, and that they will help you reach your long term financial goals. One way to ensure you get the best credit card is to compare all the viable offers using online credit card comparison sites. Many of these sites display unbiased descriptions of various credit card providers, benefits, and their corresponding interest rates in one convenient location. These sites are very convenient, and allow you to filter through information on credit cards within minutes. The benefit of this process is that you can save yourself the time of meeting with banks or creditors to negotiate a fair credit card plan. Shopping online provides you all the data and the application forms without having to step foot anywhere near a credit agency or their representatives. In addition to saving time, you will likely find a better deal online than you would by meeting directly with a banker. When you apply for a credit card or any type of loan, banks often pressure applicants to accept offers on the table with little room for negotiation. But credit card comparison sites remove bankers from the equation entirely, and allow applicants to review the cards on the table from all relevant providers. If one offer seems too expensive or includes a number of clauses that aren’t appealing to you, you can feel secure by moving onto the next listed credit card in the hope of securing a better deal. This process allows you to review all the possible offers from competing credit card providers before committing to any plan in particular. In the long run, the best credit card plan that you can leverage can help you secure your long term goals of possessing an excellent credit score with sound financial security. This guest post was written by Jason Bushey. Jason runs the daily operations at Creditnet.com, a prominent credit card comparison website. With so many myths and misconceptions regarding the credit building process, it's no surprise that many young consumers are turned off by the process entirely. The general misconception is that credit cards are mostly bad, and by avoiding credit cards (and credit card debt) you're regarded as a trustworthy consumer. Unfortunately, this is simply not the case; having no credit won't get you anywhere if you need to apply for a home or auto loan in the future, and the longer you wait to build credit the harder it can be to do so.